You will read later in this article about the salmon doing well in Glacier Bay in Alaska, but a study by the Ontario Ministry of Natural Resources has noted that fish in overfished areas may not have such a positive future. It might seem reasonable to assume that when there are fewer fish in a lake, fishing would be more difficult and fishermen would move to other areas. Unfortunately, their study has shown that expert fishermen are not only likely to stay in their favoured waters; they can often catch more fish than before. As the fish numbers thin, the skilled fishermen identify predictable behaviours and increase their catch. Another danger to fish, and life in general, was highlighted by a team of researchers from the University of Arkansas, the University of Central Arkansas and the EPA (Environmental Protection Agency). This danger is "fracking" or hydraulic fracturing. 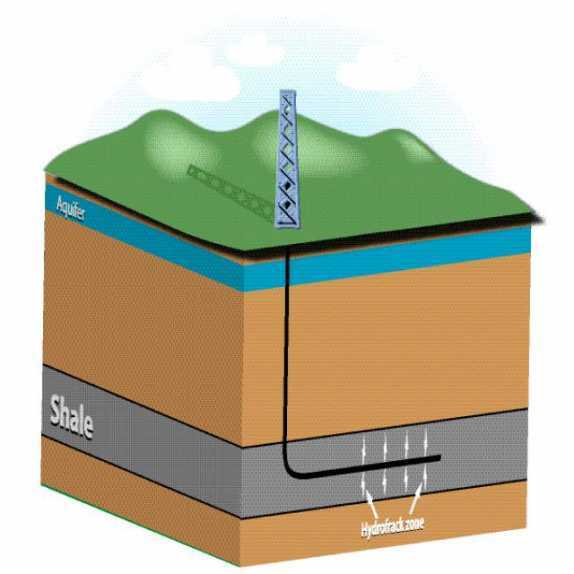 Fracking involves breaking subterranean rock formations with high-pressure fracturing fluid to help with the extraction of resources such as oil or natural gas. The researchers warned that all water sources are at risk of contamination, including drinking water, as fuel and chemical additives in the fracturing fluid mix with reservoirs, streams and rivers. The practice is already banned in France and several countries are investigating the negative effects. A number of lawsuits are also underway in the USA because of alleged contamination of town water supplies. It is always nice to find a ray of sunshine fighting through the clouds, and news from a team of researchers at the British universities of Leeds, Roehampton and Birmingham has done just that. They discovered that as climate change eats away at the world's glaciers, new habitats are being created. The team looked at glaciers in Alaska as they receded and found a complex mix of life-forms was racing to inhabit the newly revealed environments. The streams and lakes contained crustaceans and a variety of fish, including several species of salmon. We can hope that those Alaskan salmon can make up for the talents of those skilled fishermen!